If you recall, we have already installed the container (with the name email) for local SMTP server and it’s in running state We also have configured the alias of the server in hosts file. Now, let’s open browser and hit http://email:5080/ , we’ll see the GUI based email client is ready for us. 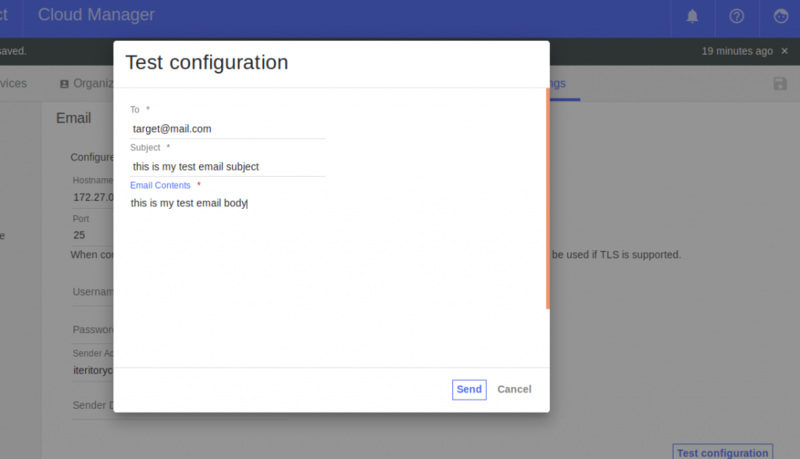 As our local SMTP server container is already running, it will trap all the mails floating from API Connect. We’ll see all those emails in this browser based SMTP GUI. As you login, it will present you a screen to Accept or Decline license agreement. Go through it and press accept button to continue. Thereafter, it will take you to profile page. Verify your profile information, add the email. Feel free to change as you like, then change your password by providing new one and update the profile. Then it takes you to a new web page; look for Settings button and click on it. A new web page will open and here we will see the SMTP settings configured in .env file during the installation process. At this point, if you want to use any other SMTP server, you can change the parameters as you want it and save the configuration. However, we are happy with our locally running server, so we will stay with it. Review these settings and click on Test Configuration button. Once you click the Test Configuration button, a popup will open; provide any to-address, email subject and body. Click on Send button. Once sent, let’s refresh the mail client GUI (http://email:5080) in the browser and we’ll notice email that we just sent from API CMC. So, with this, we are done with the email settings test; we’ll move to the next step. Leave all the other fields unchanged. Click on Save button. 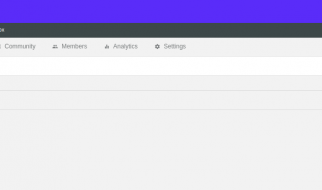 Now if we open and refresh the mail client GUI, we’ll see invitation emails have been sent to the organisation owner email id that we configured in above step. One of the emails will have an activation link. Copy and paste the link in browser and complete the registration process by providing name, password etc and clicking Sign Up button. It will then redirect you to the login page; provide the username (in my case it’s order.org.owner@iteritory.com) and the password that is set in the previous step. Click on Sign In button. Well, now we are in the API Manager portal. Click on the Navigate to.. icon on the top-left corner. A sliding menu will open up; select Dashboard menu item and you will notice Sandbox catalog. Click on it. In the new page that opens up with the details of Sandbox catalog. Click on the Settings tab. Then, click on the Portal link on the left menu and a new page will open up. 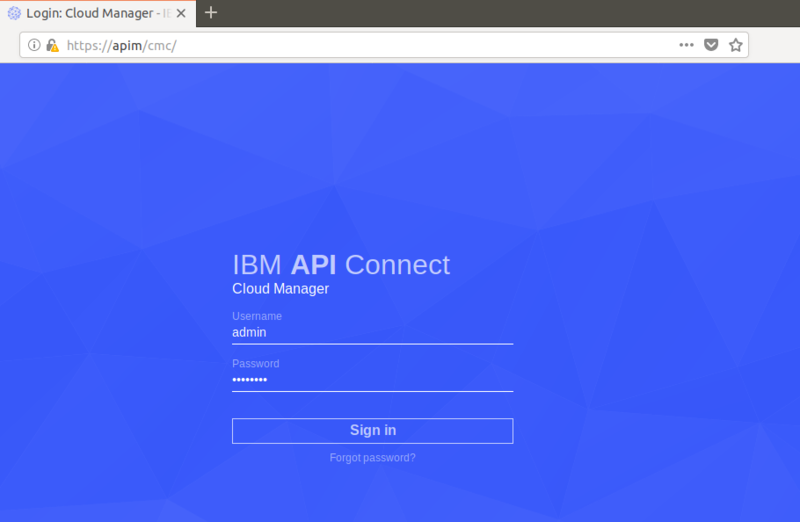 From the Select Portal drop down, select IBM Developer Portal. The portal URL is automatically created. If you notice, it has the demo organisation that we created few steps back. Click on the save icon on the top right corner. As you save it, a pop will open up indicating that once the portal is ready, it will be intimated over email. Click OK button on the popup window. Wait for few minutes and keep monitoring the email GUI. You will receive an email with a link to the Developer portal website. This link is one time usable one for the administrator account. However, even if you don’t get the email, no problem. After few minutes, hit the url that was created in above step and you will have the developer portal ready!! Click on the Navigate to.. icon on the top-left corner of the APIM portal. A sliding menu will open up; select Drafts menu item and you will notice a page with two tabs – Products and APIs. Click on Products. Click on the Add button and then select New Product. There will be a new popup asking for certain details to create a new Product. Fill in the details and press Create Product button. A new page will open up once the product creation is successful. You can fill up these details and then click on Save button. So, with this step, we are ready with our development environment setup. Next we will move forward with some development exercise in the next tutorial. Stay tuned.